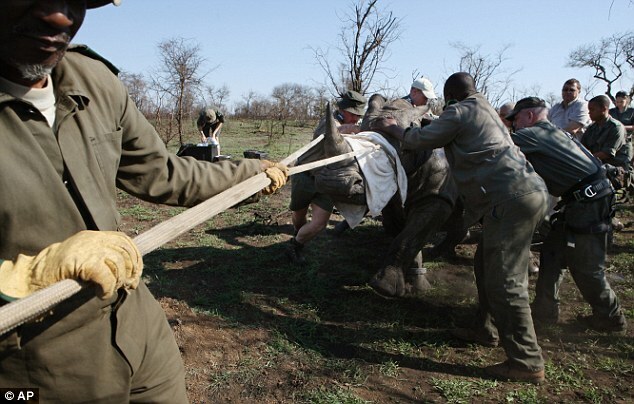 Helping Rhinos and Fight for Rhinos have teamed up with SANParks (South African National Parks) in Kruger National Park. 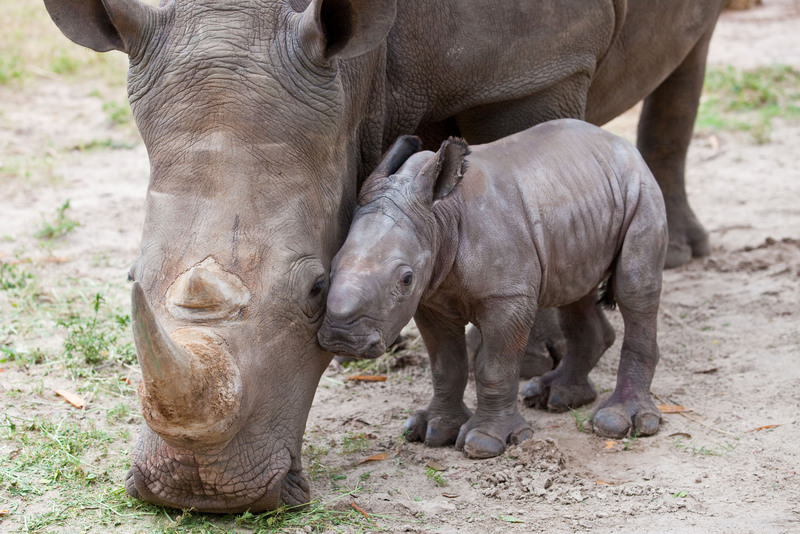 Kruger National Park is home to around 65% of the world’s rhinos. 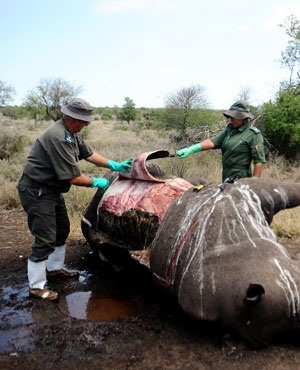 Devastatingly it is also home to around 60% of the rhino poaching victims in South Africa. 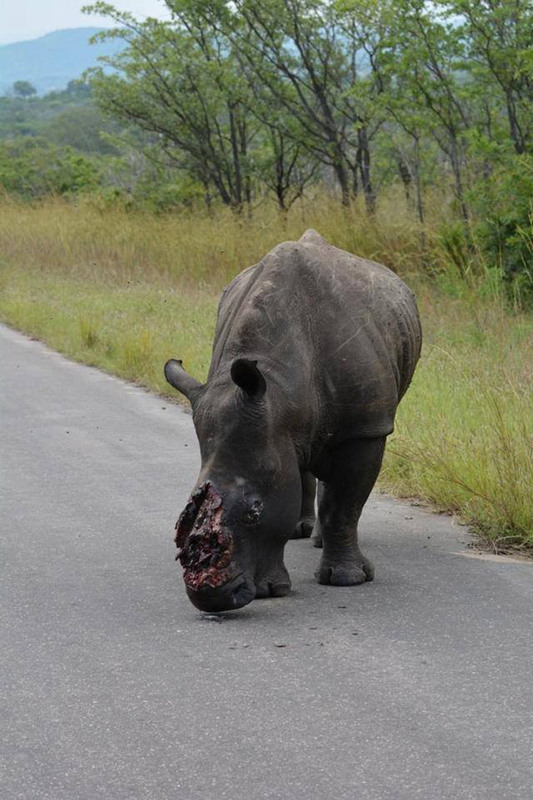 To save the rhino, it is imperative to focus on Kruger, which unfortunately has become the epicenter to the war on poaching. 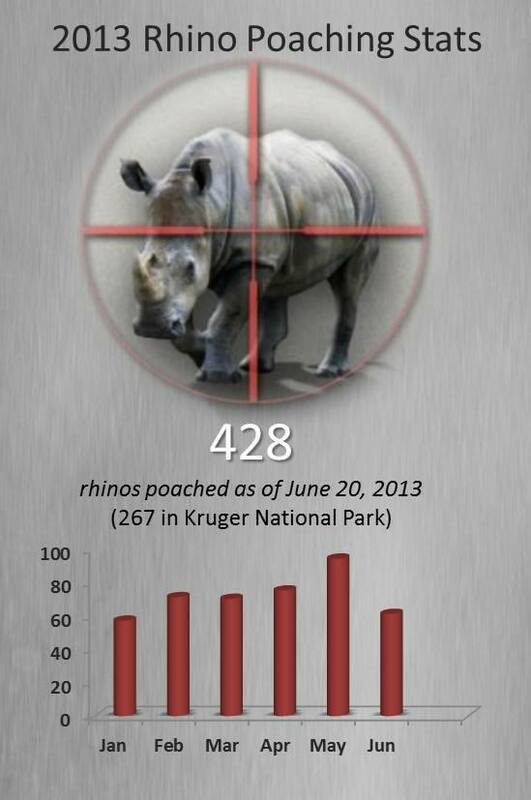 By teaming up with SANParks, we will support their anti-poaching efforts. 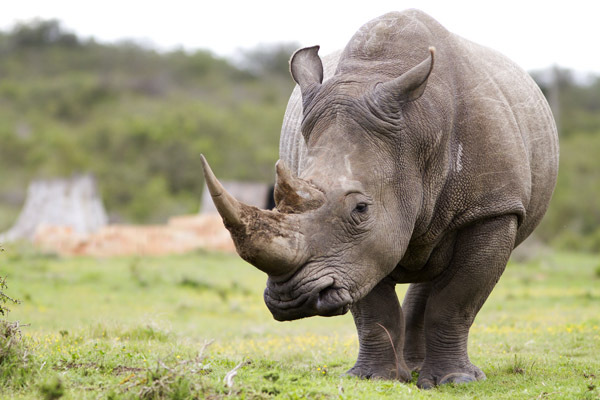 n 2013 SANParks launched their Ring-Fenced Rhino Account, meaning that all donations made in aid of rhinos will go directly to cause. 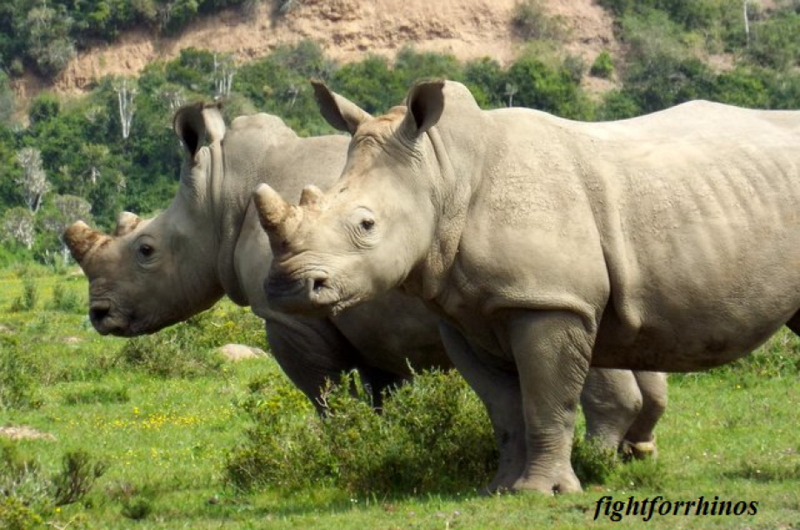 All the fundraising we carry out in the name of SANParks will go directly to their Ring-fenced rhino account, so you can be sure that you are contributing directly to the protection of the largest population of rhinos left in the world today. 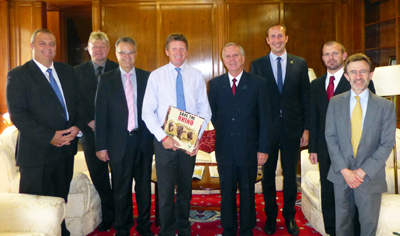 Meeting with Richard Benyon (centre), the Minister for DEFRA (dept for environment, food and rural affairs UK), Gen Jooste, Simon Jones (Helping Rhinos). 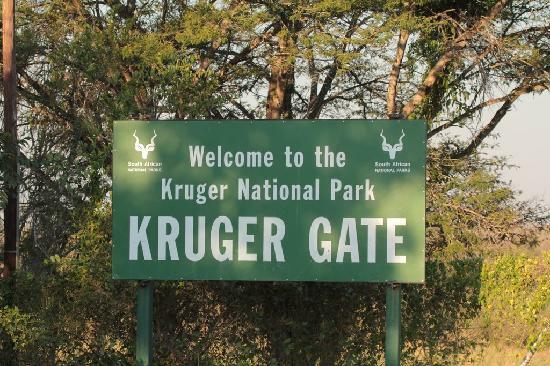 The Kruger Park anti-poaching activity is headed up by Major General (ret) Johan Jooste, and slowly but surely the General’s activities are bearing fruit. 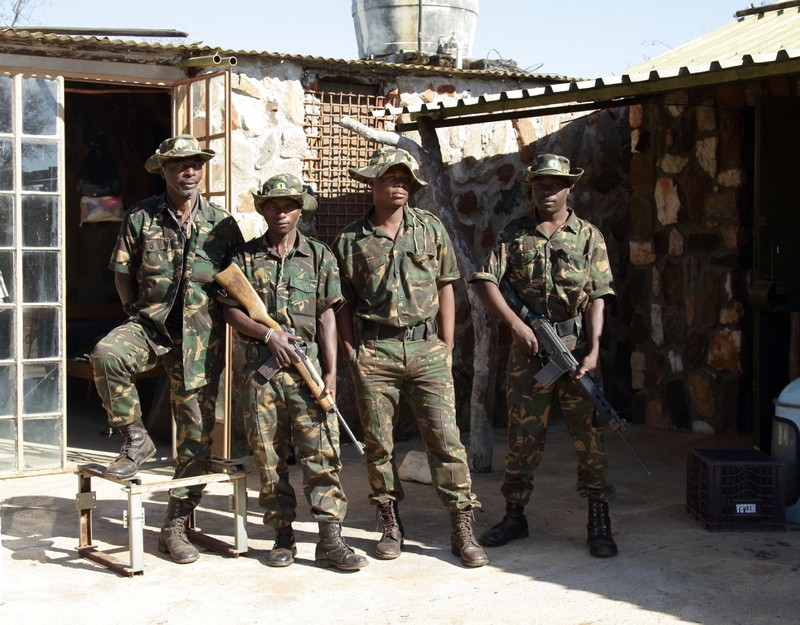 When asked if we are winning the war with the poachers the General is honest enough to respond with “not yet”, but he is confident that the war will be won. 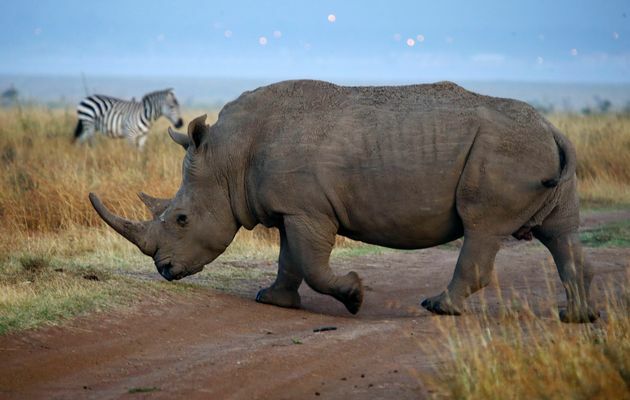 And having spent time with the General at a series of meetings in London (read more about those meetings here) and in the Kruger Park we are confident he will implement the strategies needed to start reducing the number of rhinos poached in the world famous and iconic park. 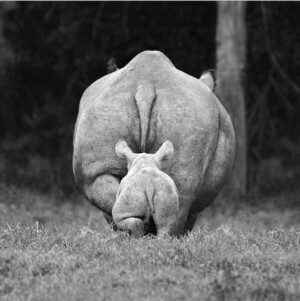 Fight for Rhinos and Helping Rhinos is supportive of Game Reserves United (GRU). 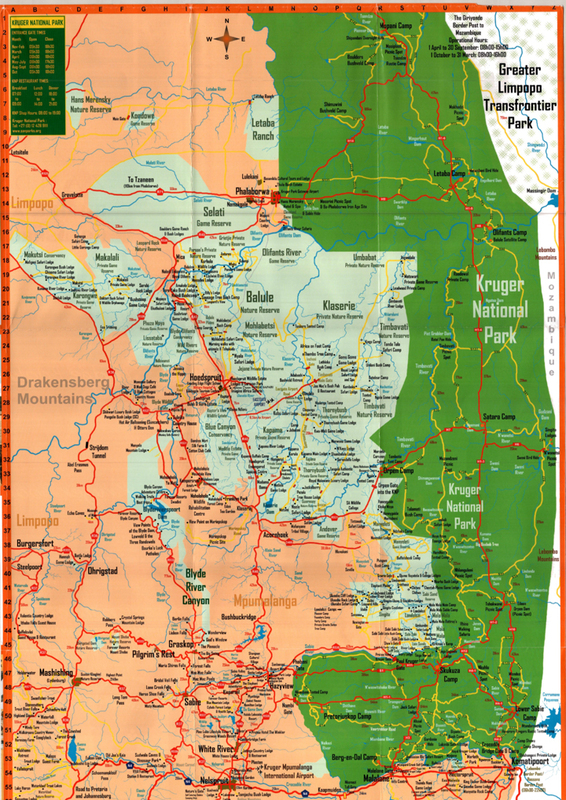 GRU is an alliance of private game reserves on the western border of the Kruger National Park (KNP). The main purpose of GRU is to establish a reliable and unified intelligence. It is supported by experienced counter-insurgency and counter-intelligence individuals, and closely aligned with law enforcement agencies. 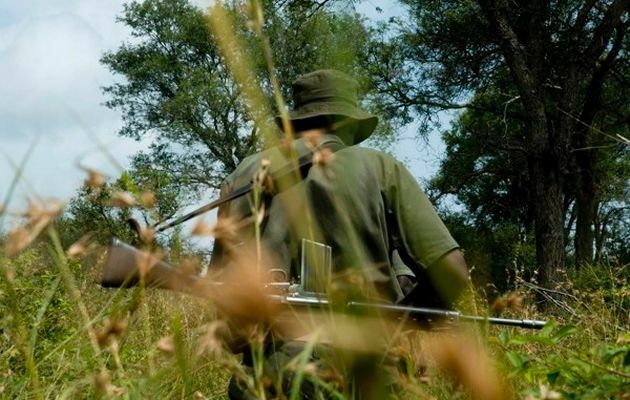 This approach is unique and could be the leading example for collaborating landowners when it comes to poaching. 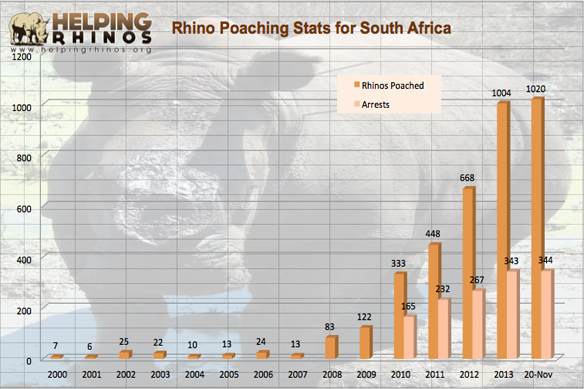 Since 2008, the private reserves to the west of Kruger have greatly increased their investment into security to help combat the escalating threat of rhino poaching. 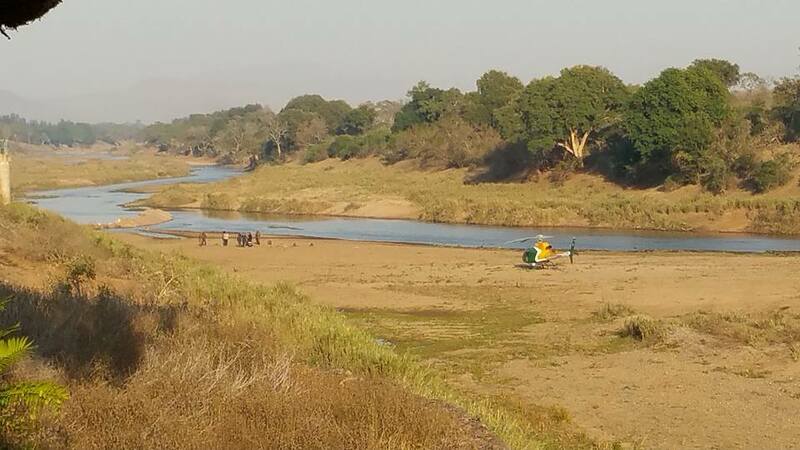 This increased investment is not only improving security for rhinos on the Park’s western boundary, but the benefit is spilling over in the Park itself. 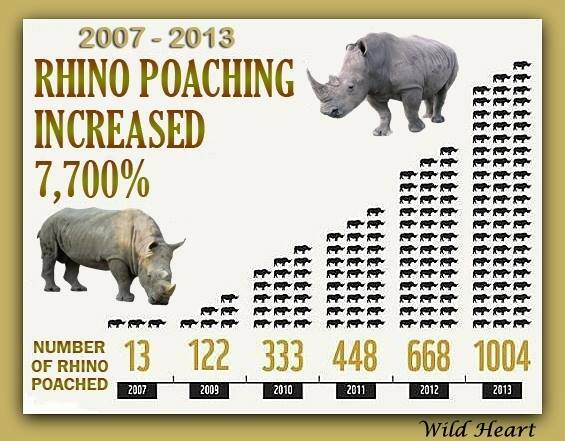 The number of rhinos poached in the project area has declined by 50% per annum over a three- year period. Intelligence operations are focused, collaborative and coordinated and the information generated is well-managed across the project area. 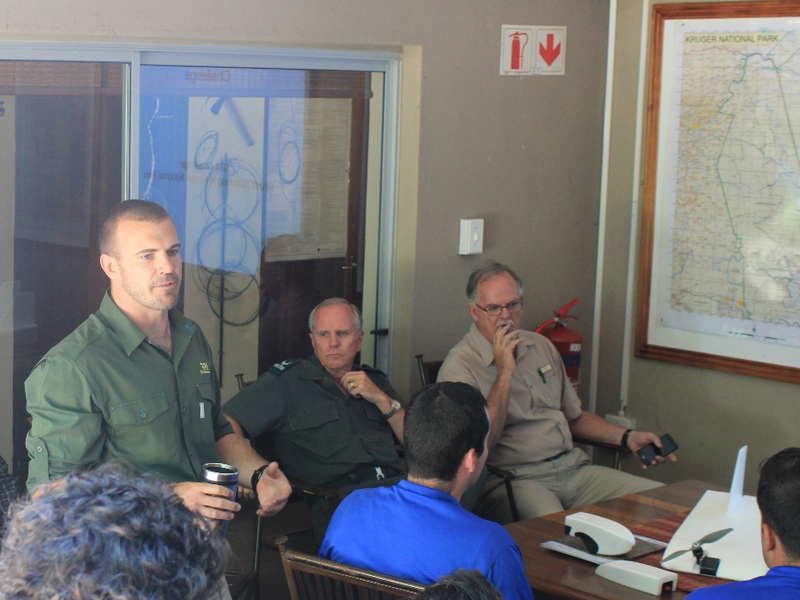 GRU works in collaboration with the KNP and other law enforcement agencies. 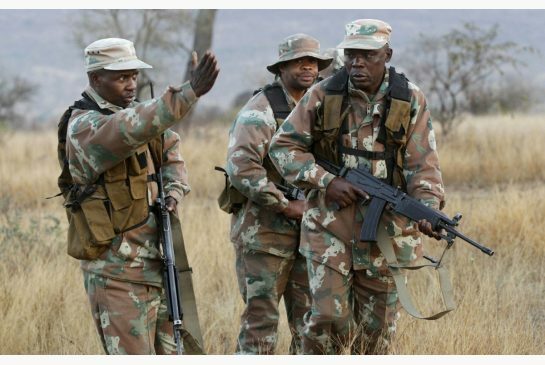 In partnership with SANParks, promote the creation of additional field ranger positions to be deployed in the participating reserves for improved area coverage. 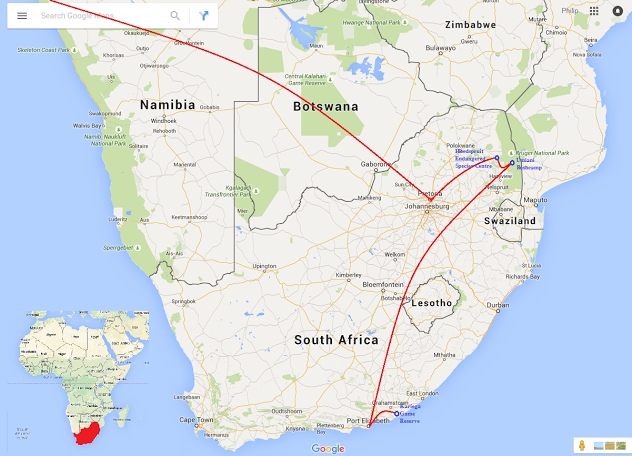 There is improved communication resulting in improved area integrity management. We need your support to continue this project. 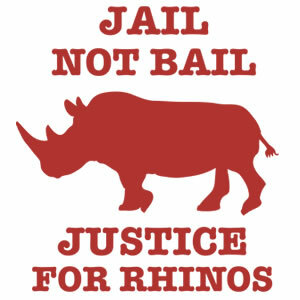 To support us in the preservation of the rhino, please see the DONATE buttons on the left or bottom of the page.